We just know you’ve been waiting for this… the Strictly Come Drag Queens are back again this year for some fabulously festive fun! 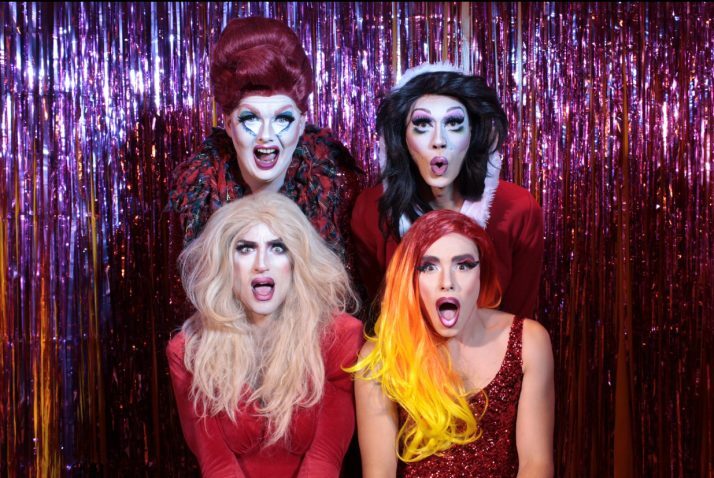 Hot tailing it from their sold out drag brunches, the Strictly Come Drag Queens are hitting the main stage at The Breakfast Club Canary Wharf this Christmas our now annual pantomime. “HE’S BEHIND YOU”- HE PROBABLY IS! The Strictly Queens, ShayShay, Orange Gina, 3rd Girl & Just May are dusting off their size 12 heels & all they want for Christmas is YOU. Each £50 ticket for either the 7th of December or the 14th of December includes – admission to the panto, a 2-Course Christmas Dinner & 1 hour of bottomless fizz & beer. Drink deals are also available all-night long.